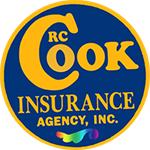 Get your free quote for Ravenna boat insurance call 330-296-3628 or visit us RC Cook Insurance. Boating in Northeastern Ohio is a hobby or pastime for some but many people here take boating seriously and a good boat can represent a significant investment in both time and money. You probably have boat insurance on your vessel, but did you know all boat insurance is not the same and you could have gaps in your coverage that you are not aware of? Especially if you are adding your boat as an endorsement on your home or auto policy. Let's take the example story or Barney M for instance. Barney loved getting away from it all and he and his friends often spent time at Portage Lakes State Park, fishing and boating in the lovely and scenic waters. His old 14 foot aluminum boat was getting on in years and the 30 hp outboard motor was hard to start sometimes. In fact, last year he only got to go fishing twice and both times, problems with the engine ruined the trips. Barney decided it was time for a new 15 foot fiberglass fishing boat with a powerful 50 horsepower motor. He wanted to pay cash for the boat and considered minimal insurance for the first year (to save money). This meant not carrying liability coverage on his boating insurance policy. However, his wife Ellen was not happy about this decision. The fishing season went well until one day there was an accident on a local waterway. Barney and several of his friends were out fishing late and were hurrying back to shore when Barney (who was driving) heard a crunching noise on the side of the boat. He turned to examine it and at the same time another vessel was traveling fast just around the bend and a collision occurred. The accident resulted in several injuries and a lot of damage and because Barney was not looking ahead when it happened, he was considered the "at fault" party. As such he was responsible for $120,000 worth of injury and damage claims.